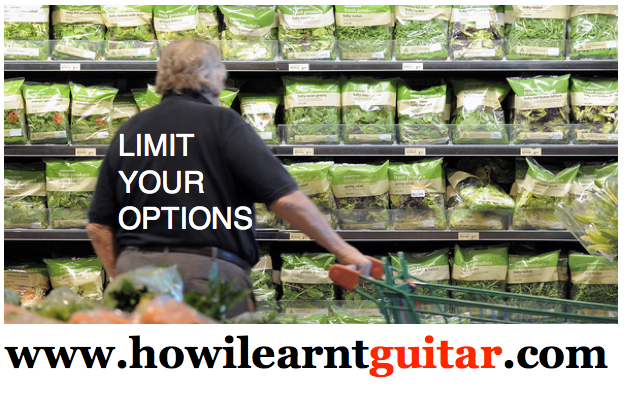 Guitar Blog: Limit Your Options For Guitar Success. 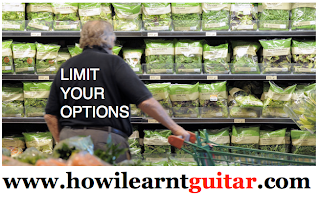 To reach your goal of succeeding on guitar limit your options. Thomas Schelling a behavioral economist who won the Nobel Peace Prize in 2005 believes that to reach our goals we must limit our options. We live in a world where the options seem infinite and are rising rapidly every year. My Grandmother who is now 100 years old lived in a very different world. When she was a young girl there was no Internet, video games or TV. They were restricted in travel due to the expense and time involved. She lived in a small country town so the options for females were limited to arts and crafts. As a result my Grandmother became exceptional at needlework. Her knitting was amazing, often extremely detailed and super fast. She could knit you a jumper in less time than it took to get in the car, drive to the shops, make a selection, buy the jumper and return home. These days everyone has a mobile phone with 20 or more apps. Most visit dozens of websites everyday. Most people have four or more regular activities such as school, work, sports, fitness, Facebook, Twitter, hobbies and so on. Even those who manage to focus on just a few areas don’t effectively focus on one area within that interest. For example most people who learn guitar jump from one song to another and have little to no discipline in their practice. They will visit dozens or even hundreds of websites and sign up for various courses rarely getting past the beginner stage before moving on to the next course. Imagine you were on a desert island where everything you need is provided in terms of food and shelter. No also image there is no TV or Internet or any other distraction for that matter. All you have is a guitar and a single method of learning to play guitar from beginner to advanced. The odds are you will stay very focused. Not because you suddenly become good at focusing but because you have nothing else to distract you. When our options are limited we have very little choice other than to focus. To help limit your options and succeed on guitar I recommend the following. Choose a room in your house where there are no distractions. No TV, no Internet etc. 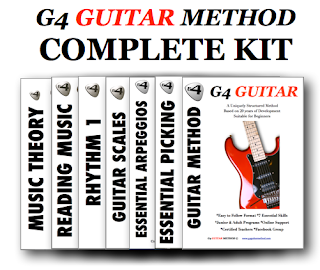 Now choose just one method of learning guitar. E.g. 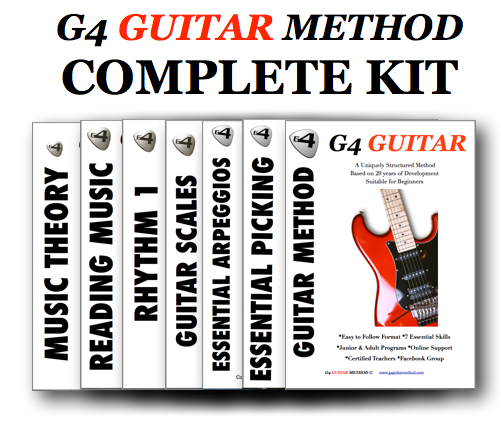 The G4 Guitar Method. Each day go to that room for one hour with your guitar and the method. Make sure you can not be disturbed or distracted in any way and see what happens. Let me know how you go. *WHY MEASURING YOUR PRACTICE MAKES ALL THE DIFFERENCE.